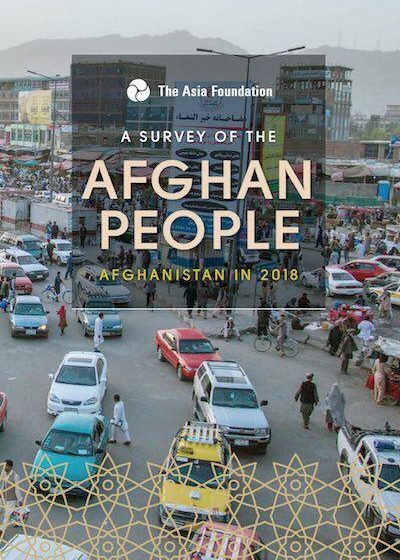 The Asian Foundation conducted an annual survey which delves on the public opinion of the Afghan people regarding various issues like security, Elections, governance, economy, services, corruption, demographics, reconciliation with Taliban, access to media, migration, role of women and political participation. It is titled Afghanistan in 2018: A Survey of the Afghan People. 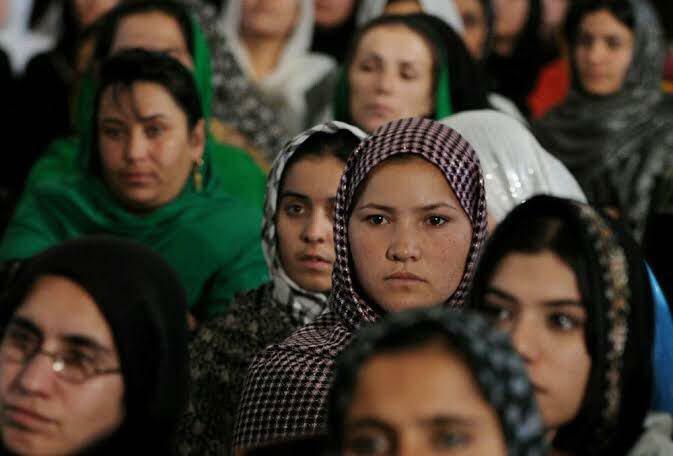 The survey interviewed a sample population of 15012 Afghans over the age of 18, with 50.3% being male and 49.7% being female. Furthermore, 80.6% were from rural areas while 19.4% were urban residents. The period of the interview was July 6 to 27 in 2018. the Afghan Center for Socio-Economic and Opinion Research (ACSOR) conducted the fieldwork for this project. 32.8% Afghans believe that the country seems to be furthering in the right direction and the leading reasons for positive respondents were improved security, and rebuilding. Other reasons attributed to this were improved governance, improved rights for women and economic empowerment. But the worrying trend is that as compared to last year, marginally more Afghans think the otherwise, as 61.3% Afghans think the country is moving in the wrong direction. Reasons for this have been listed as : insecurity featuring as the leading reason, concern for economy in which unemployment was the topmost worry, corruption, injustice to human rights, and lack of international assistance. Locally, residents express that the biggest issue they face is with respect to utilities and public services. The Afghan people’s biggest worry is with respect to personal safety since the ANDSF took charge of security responsibility. In fact, women are more likely than men to fear for their safety, the survey notes. The estimates for crimes and violence was a little better, with 18.6% people saying they had suffered from an act of violence or criminality. There was even a decrease in the people reporting crimes to the ANA or ANP, dropping by 5% this year. However it still stands at 45.7% which is still high. When it comes to Afghans’ belief in security, they feel ANDSF is the primary security provider, after which ANA comes and the least points scored in this respect is by Taliban. Only 2% people identify Taliban as provider of security. However, confidence in ANP’s security provision has declined by 3%. When asked what group poses a security threat in their local area, 35% responded saying that a definitive group destabilises their local region while 62% responded with an affirmative no. On being asked which group specifically, the answer in decreasing order of proportion was: Taliban (68.2), criminals or thieves, and Daesh/ISIS (16.4%). 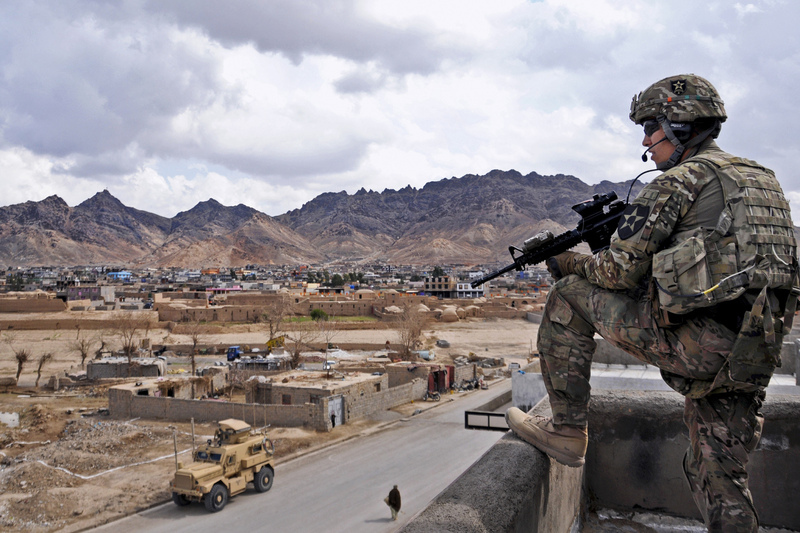 But, more Afghans now believe that the Taliban are fighting because of the presence of foreign troops (from 6.4% in 2017 to 15.2% in 2018). There has also been a significant decline according to the survey, in the number of Afghans who “strongly agree” or “somewhat agree” that antigovernment elements should be provided with government assistance, jobs, and housing (from 80.6% in 2010 to 68.7% in 2018). Afghans continue to show concern for economic situation as per the survey-61.3% of those who feel that Afghanistan is moving in the wrong direction attribute their worries to unemployment, bad economy, inflation and other economic issues. For youth, the biggest problem is attributed to unemployment. 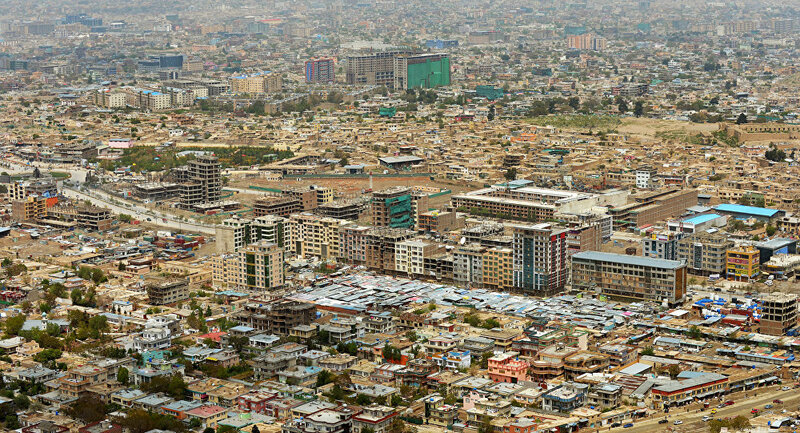 Even otherwise, the survey states that “more urban Afghans than rural say their employment situation has worsened”. The positives have been an increase in household asset ownership and a marked increase in household income for the bracket of average AFN 5001-20000 per month. Perception towards electricity supply has improved slightly while 17.1% respondents believed that the quality of their food has gotten better. Furthermore, access to drinking water has stayed the same for a majority while only the minority’s thinks it has gotten better. Only 22% think that quality of school services has gotten better, however. More than 50% of the respondents showed faith in National Unity Government for doing a good job and the perceptions towards provincial governments has also improved. Afghans also continue to show greater confidence in religious leaders, followed by “media, community shuras or Jirgas, community development councils, and provincial councils. But, a whooping 70.6% think that corruption is a severe problem in their daily life. Fear while voting has increased since last year, seen more in women. Fear while participating in peaceful demonstration has also increased. 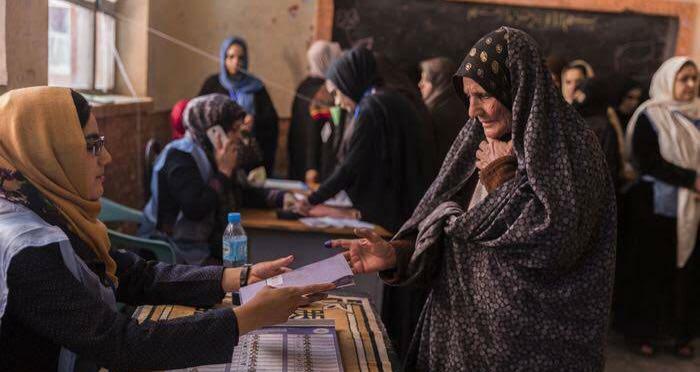 Majority of Afghans showed awareness regarding Afghan parliamentary elections of 2018. Over half of the respondents believed it he Elections to be free and fair. There was a significant drop in proportion of people who registered to vote. Reasons for refusal to register included fraud, non-beneficial practice, not having permission, fear of Taliban, lack of tazkira and lack of national ID (in decreasing order). Satisfaction of Afghans towards democracy has deepened, with 61.4% expressing so. Women are comparatively more satisfied with democracy than men. But the survey also shows that there is a positive correlation between satisfaction with democracy and economic status. Gender wise, respondents who have preferred to have a woman representative in parliament remain the same. But thankfully, there is a stronger support for women’s right to vote. Internet access is fast growing and so is reliability on news and information from the internet. Media is also one of the most trusted institutions in Afghanistan. An interesting finding of the survey in this realm was that “Afghans who rely on the Internet and television to obtain news and information are more supportive of equal educational opportunities for men and women (89.8% Internet and 87.5% television) than those who use radio for obtaining news and information (82.2%). Those who use television (77.1%) and the Internet (76.3%) are the most likely to support women working outside the home. Election awareness and intention to vote were highest among those who rely on the Internet for news and information (election awareness, 87.8%; intention to vote, 76.9%)”. The survey has shown that support for practices of baad and Baadal has declined. But, only the smallest minority thinks that women should wear no head covering. Worse, approval of women in leadership positions has fallen . For education, the survey has noted that “Overall, Afghans’ support for girls’ equal access to education has improved marginally, from 82.3% in 2017 to 84.0% this year. Male respondents are significantly more likely to “strongly” agree with gender equality in access to education this year than last (40.2%, up from 33.6%), and fewer men “somewhat” agree this year than last (39.4%, down from 45.4% last year). Women who strongly or somewhat agree both increased this year, and women overall are more likely to support gender equality in access to education than men (88.4% of women strongly or somewhat agree, compared to 79.6% of men)”. Finally, in terms of economic opportunities, “There has again been a marginal decline in the proportion of Afghans who say women should be allowed to work outside the home, with 70.3% responding positively this year, down from 72.4% in 2017. There is significant variation in opinions. As seen in previous years, women (79.8%, down from 80.9% in 2017) are significantly more likely than men (60.8%, down from 63.9% in 2017) to agree that women should be allowed to work outside the home. Urban respondents (80.5%) are much more likely than rural (66.9%) to agree”. Consequently, on being asked what the government should do to prevent emigration, most responded with “improving domestic security”.